Rare new build opportunity in District 12 at the base of Cheyenne Mountain in Star Ranch! Large lots, amazing views, gated community and high-end finishes. 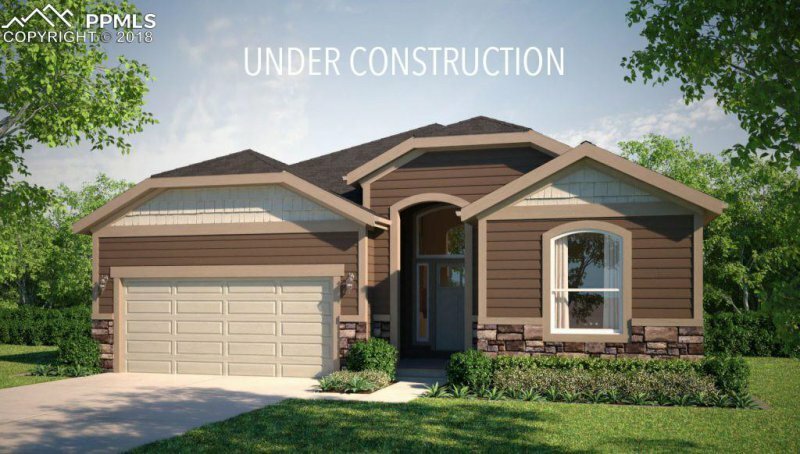 Open ranch floor plan, extended hardwood, custom tile work, jetted tub, hand troweled walls, oil rubbed bronze fixtures, smart home with surround sound, 2 x 6 exterior construction, stucco and stone exterior, 3-car garage, stainless appliances are included. Modern farmhouse finishes available. The Wyndham floor plan features a finished basement, jack and jill bath (4 full baths total), option to add office with french doors or six bedrooms. Option to add secondary laundry hook ups in the basement.